Bolton Nuts » BWFC » Wandering Minds » The Racing and Football Betting Thread. The Racing and Football Betting Thread. £1.50 E/W on Fleckerl and £2.00 win on Equistar both in the 16:00 at Windsor. 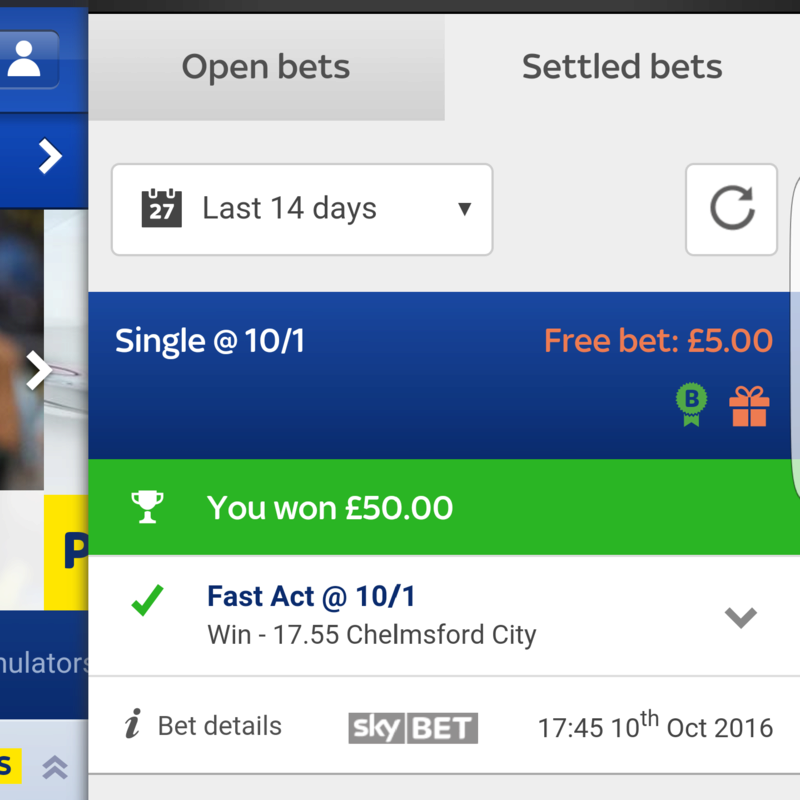 Placed my free £5 bet on it as well. @Reebok Trotter wrote: Thanks for covering Friday Boncey! £1 e/w Bigger And Better 4.50 Salisbury. £1.50 e/w Argus 5.20 Salisbury. @Bwfc1958 wrote: £1.50 E/W on Fleckerl and £2.00 win on Equistar both in the 16:00 at Windsor. Accession 3.10 Leicester £2.50 win. £5 win on That Is The Spirit. @Reebok Trotter wrote: Accession 3.10 Leicester £2.50 win. X Rated was 2nd at 40-1 for £9 profit. I do like a nice top set.